Join Project Leader Chelcy Ford Miniat for an exploration of the purpose and history of the Coweeta Hydrologic Laboratory. 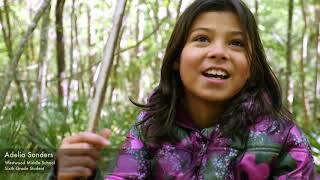 Through the Kids in the Woods program in Gainesville, FL, middle school students learn about birds, creek erosion and urban trees through hands-on outdoor science studies on the school campus and in a nearby nature park. 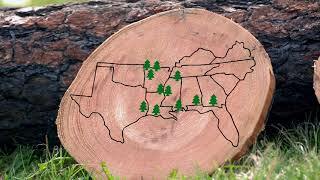 This program is a partnership between the Southern Research Station (SRS-4952) and Region 8, the University of Florida, the Alachua County School District, the City of Gainesville Parks, Recreation and Cultural Affairs, and the Alachua County Environmental Protection Department. 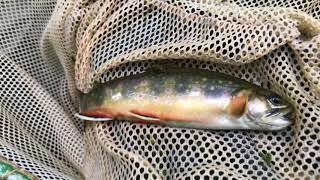 Get a first-person, “fish eye” view of a brook trout inventory! The Southern Research Station Center for Aquatic Technology Transfer team counts trout populations each year. Follow along with one trout to learn how and why these inventories are performed. 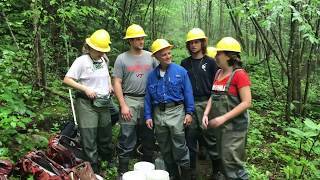 We took a trip to Shenandoah National Park in Virginia to meet up with the Center for Aquatic Technology Transfer team and see a trout stream inventory in action! 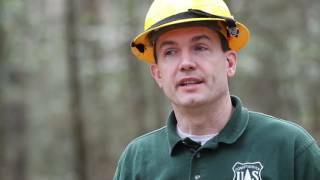 Check out this video highlighting some of the people and science that makes the Southern Research Station part of the leading organization for research on natural resource management and sustainability in the United States. The 20th Engineers was the largest regiment ever to exist in the United States Army. 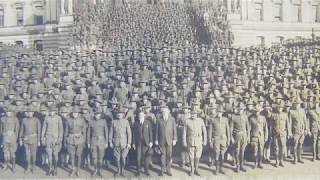 In 1917 the War Department made the rapid formation of forestry troops one of its primary obligations to the American Expeditionary Forces. On August 21, 2017, a total solar eclipse was visible within a band across the entire contiguous United States. 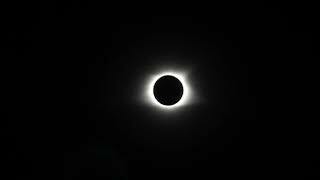 To witness this incredible event, we traveled to Andrews, NC, to the very center of the line of totality. 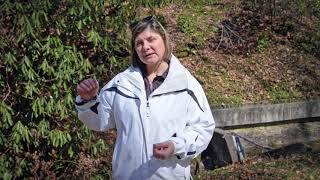 Bats vs White-Nose Syndrome: What We Know! A new video by Untamed Science that investigates the white-nose syndrome that is killing bats slowly but surely. Hemlock Woolly Adelgids are devastating the eastern hemlocks. What are we doing to help save them? It seems the answer lies in a few different approaches - predator introductions, saving the genes, regrowing the species and using some chemical applications.